It is the mission of Indian Harbour Montessori to provide a stimulating, respectful and harmonious environment based upon the philosophy of Maria Montessori. Children are encouraged, through thinking and reasoning skills, to conduct themselves as individuals in preparation for lifelong learning. We fully employ the Montessori Method to create a peaceful, natural, whole-child education that fosters joy, intelligence, self-confidence, and independence in children. We believe that growth is as individual as each child. A three-hour complete Montessori primary class from 8:30-11:30, Monday through Friday. An extension of the AM Montessori classroom for children of kindergarten age. The afternoon portion of the day focuses on reading, story writing, advanced math, science, and geography, in preparation for 1st grade. An extension of the AM Montessori program for non-napping children between the ages of 3-1/2 to 5 years who are not ready for additional Montessori classroom work. The afternoon portion of the day focuses on outdoor environment, additional movement, small projects, individual work choices and teacher facilitated group activities. The fee for this program is the same as the extended day program. The length of day, AM Montessori and Extended Day Transition combined, is from 8:30 – 2:30 daily. Specifically designed for parents who need full day before/after school care for their AM or Extended Day children; available from 7:00-5:30 daily. Extends the Montessori methods into the elementary years. Classes, designed for 1st through 6th grade, meet all the state of Florida’s requirements. 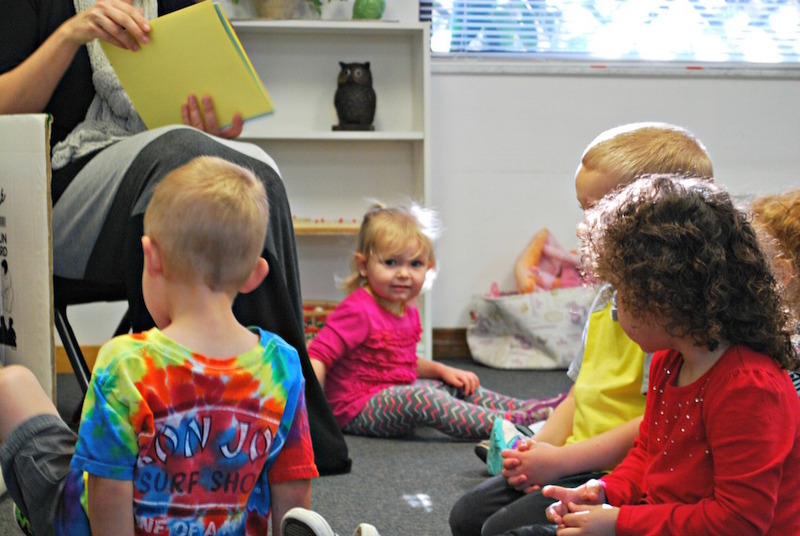 This program allows the student to continue learning in a Montessori environment. We are accredited by the National Independent Private Schools Association and the Southern Associate of Colleges and Schools. Combines all areas of the Elementary Program with before and after school care and is specifically designed for parents who need an all day program for their children. Indian Harbour Montessori is an amazing elementary school. I have 3 children and they all are attending this school. The methods for teaching have allowed my children to excel. The teachers find the best way to engage the children and they learn amazing things. My 5 year old is reading and has learned to add, subtract, multiply and divide. She enjoys learning and that is why she has excelled in these areas. My 4 year old is starting to read as well. The materials they use are incredible. I highly recommend this school to everyone!